Although the cruise industry is not expanding as rapidly as during the period of 1998-2010, the good news is that cruise lines have quite a few new-build ocean going ships on order to be launched into service between 2012 and 2015. Servicing these ships will create at least another 15,000 jobs in addition to the already existing 200,000 plus jobs aboard cruise vessels. Reflection will be the fifth and final Solstice-class ship from Celebrity Cruises. The ship will be slightly larger than its sisters and feature a few new touches, including a two-bedroom suite with a much-ballyhooed "outdoor" shower. Ship Details: Norwegian Breakaway will be the first of NCL's two Project Breakaway ships. The ship will usher in a slew of new dining and entertainment options, while bringing back past favorites like solo cabins, sun deck amenities and signature restaurants. 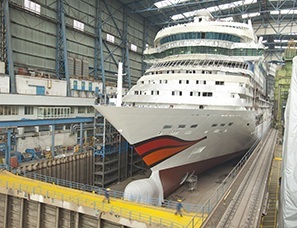 Ship Details: The debut of AIDAStella will bring the Germany-based AIDA Cruises fleet to 10 vessels. 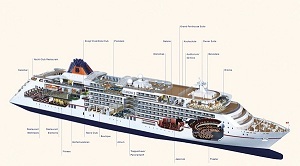 Ship Details: Hapag-Lloyd is chartering Europa 2, which will complement the ultra-luxurious Europa through 2025. Ship Details: Avalon Artistry II will be the fourth ship in Avalon Waterways "Suite Ship" class. Sixty-four cabins - or two decks' worth - have wall-to-wall panoramic windows, which open seven feet to create an open-air balcony of sorts. Ship Details: Jewel will be the rapidly expanding Scenic Tours' fifth riverboat. Ship Details: The prototypical Royal Princess will be some 20 percent larger than Princess' largest ships now afloat and will feature a number of novel twists in dining and entertainment. Ship Details: Le Soleal will be a sister yacht to Ponant Cruises' upscale Le Boreal and L'Austral. Le Soleal will debut in the Arctic. 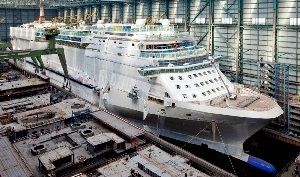 Ship Details: Regal Princess will be a sister to June 2013's prototypical Royal Princess. Ship Details: The as-yet-unnamed ship will represent Viking's first foray into ocean cruising. The ship will sail under the new Viking Ocean Cruises moniker. 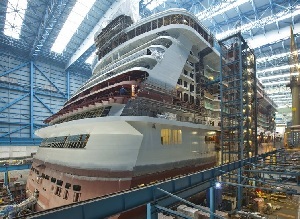 Ship Details: Norwegian Getaway will be the second of two Project Breakaway ships. Ship Details: The ship will be the first new-build from German-based Tui Cruises, which is a joint venture between Royal Caribbean and TUI AG. Ship Details: The first of two Project Sunshine ships will end a four-year ship-less streak for Royal Caribbean. Ship Details: The as-yet-unnamed ship will be the largest every built for Italy-based Costa Cruises. Ship Details: The new P&O ship will be the line's largest ever by 22 percent. 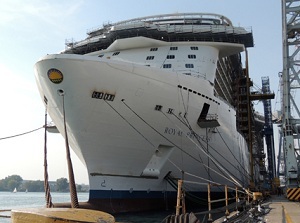 Ship Details: The ship will be the second of Royal Caribbean's Project Sunshine vessels. Ship Details: The as-yet-unnamed ship will be the second ship to debut for the Viking Ocean Cruises brand.